Simon built up the Attitude brand, by simply building awesome one off motorcycles, Having more features in Back Street Heroes, 100% Biker, American V, Mondo Biker & Even Street Fighter… Than any one single one man band! In 2015. Simon got his son Carter on board, At 20 years old he had the passion and imagination, but as most nippers, Couldn’t quite find the drive to do it, Working there to learn the skill under his dads wing, in 2016 Carter built an awesome sportster chop, Which he was definitely recognised for, Having front cover of American V, And after getting his own name out there, He recently got a big feature in BSH for one of his later bikes he’s finished, And he defiantly got the recognition he deserved for it! 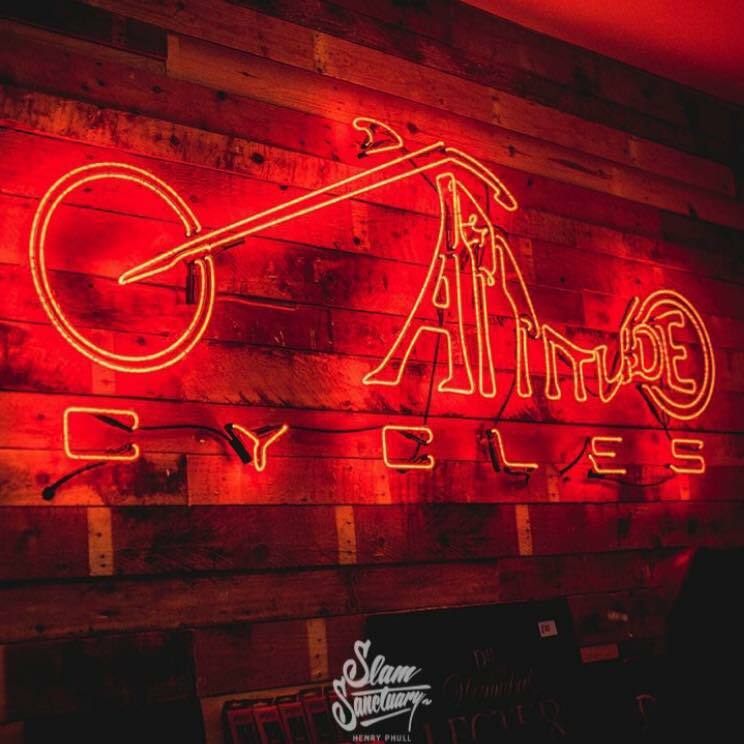 Attitude Cycles is now made up of Simon, His son Carter, who now owns half the company, Building awesome custom bikes along side Simon and Running the show room and clothing store. Ack, Our full time fabricator. Pete, The genius engineer who can rebuild any Harley motor with his eyes shut, Previously making his own V Twin motor (Thompson V Twin), Casting all the barrels etc himself And finally Steve, If you haven’t heard of the wiring wizard Steve, Where have you been? Planning the bike build and component including custom parts and pieces how the final product will piece together. The most enjoyable part of the process, building the bike whilst working closely with the client. After much tuning and tweaking we'll deliver the new bike to the client unless they want to ride it home of course..